In addition, Dr. Razi will continue to treat a broad range of spinal disorders through the unique comprehensive program at the Maimonides Spine Center. He will provide both surgical and non-surgical services for those with spinal disorders affecting the cervical, thoracic, and lumbosacral regions, many of which are caused by degenerative disc disease, disc herniation, spinal stenosis, spondylolisthesis, deformity, trauma, tumors and infections. Prior to taking on his expanded roles at Maimonides, Dr. Razi was Associate Director of our Residency Program. He is actively involved in clinical and resident-educational research, about which he lectures and publishes frequently. Dr. Razi is currently co-editing a textbook on Osteoporotic Vertebral Compression Fracture. He previously served for 15 years as faculty and Clinical Assistant Professor in the Department of Orthopaedic Surgery, Spine Surgery Section, at NYU Langone Medical Center—formerly known as the Hospital for Joint Diseases—and was a partner in the Madison Avenue Orthopaedic Associates PC. Dr. Razi earned his bachelor’s degree at Yeshiva University, and received his MD from Albert Einstein College of Medicine. He completed his residency in Orthopaedic Surgery, followed by an elite fellowship in Spine Surgery at the Hospital for Joint Diseases. He also was selected for a prestigious one-year fellowship in the Leadership Fellow Program through the American Academy of Orthopaedic Surgeons. 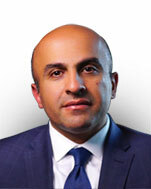 Dr. Razi is a fellow of the American Academy of Orthopaedic Surgeons and the American Orthopaedic Association. He received the AAOS Achievement Award in 2017. He is also a member of the Scoliosis Research Society, North American Spine Society, and American Board of Medical Specialties. Please call 718-283-BACK (718-283-2225) or 718-283-6514 to schedule an appointment with Dr. Razi. Please send us your Maimonides Comprehensive Spine Center Welcomes Renowned Spine Expert Dr. Afshin Razi questions or any questions to our friendly staff via our online Contact Form. You may also contact us at or visit our office at 6010 Bay Parkway, Brooklyn, NY 11204.